Finally I bought it. I was thinking about this one for quite some time now. Is that true ? Not really. I wasnt thinking about buying 1TB drive. But I was surely bothered by my data lying scattered at 4 different places ( 2 IDE’s, 1 mobile drive, my laptop, and pen drive). I was surely looking for a solution – storage solution. Western Digital – My book versions – some of them have RAID support too but were equally expensive. Maxtor – One touch 4 plus – has a cool backup software. Seagate – FreeAgent 1TB Classic Desktop drive. I also considered NAS (Network Attached Storage) solutions but i guess those have to wait for now. Finally i chose the product that offered maximum capacity and at a lowest price & that was Seagate FreeAgent 1TB Classic Desktop drive. It cost me a heavy 10,500 Rs. But then these drives have a big big disadvantage. They are not so portable drives. And require external power for operation. To ward off against the power blues, i.e voltage fluctuations and electricity cuts, I bought an accessory to support my 1TB beast …. 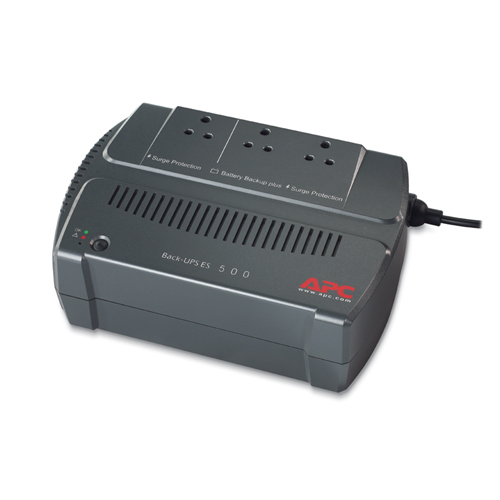 APC 500 KVA UPS. Infact, APC is good looking and very smart. It has nice, neat and no nonsense looks + it has 2 separate sections Surge Protection & Battery plus Surge Protection. Also in the Surge Protection area, i do not need to switch the UPS ON and still it completes the circuit if anything is plugged into. 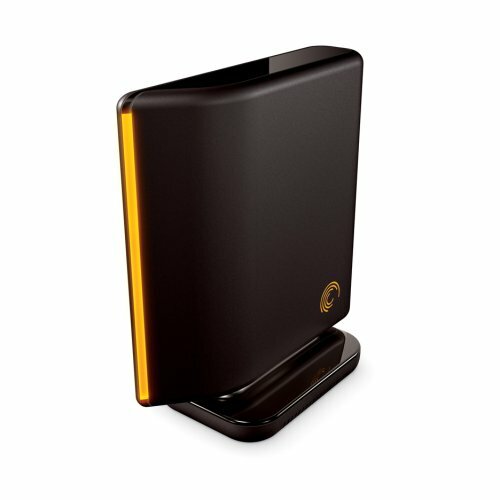 That means I can plug in my computer based TV, Printer etc into the surge protection area and need not switch my UPS ON for these devices to work. I worked around 7 hours continously with the beast and it worked without generating any noise or heat. Though the software that comes with the drive left a lot to be desired. It has backup option which is quite simple but is minimalistic to say the least. It doesnt backup hidden files & folders. No option to schedule a shutdown after the backup is complete. I am sure, as i use it more, i will find many more features that are missing in the software. All in All, a good buy and a good experience & for the statisticians, my drive is 77% empty as of now. ! It should serve me a long time. ! Why not? TB is not a small denomination. ! This entry was posted on September 22, 2008 at 12:39 pm	and is filed under General, My Stuff. Tagged: APC, gizmos, Seagate, tera byte. You can follow any responses to this entry through the RSS 2.0 feed. You can leave a response, or trackback from your own site. A person specifically assist for making significantly posts I will declare. Which is the first time I been to internet webpage so a lot? My spouse and i amazed while using study you have made to make this particular create astounding. Exceptional hobby!